Now in paperback, today's top chefs unlock their mothers' secret recipe file and share the dishes that inspired them to cook! Behind every great chef there's a great mom . . . and a great recipe file. This cookbook collection pulls Mom's best recipes from celebrated chefs nationwide, so that you can share them with your own family and friends. I'm the author/artist and I want to review Behind Every Great Chef, There's a Mom! 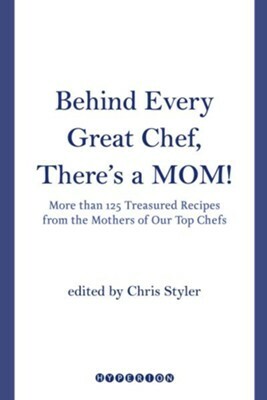 : More Than 125 Treasured Recipes From the Mother's of Our Top Chefs - eBook.